Business Process Management (BPM) is a powerful management discipline for driving efficiency and innovation, as well as achieving strategic imperatives. 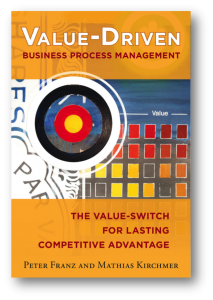 When you develop a business strategy that is supported by a pragmatic application of BPM, your processes become important assets—and business success soon follows. It’s called value-driven BPM, and this game-changing guide takes you step by step through the entire process.